Las Vegas native Erik Molzen is a luxury home sales executive with Berkshire Hathaway HomeServices Nevada Properties. Erik began his professional career in the hospitality industry, so his stellar reputation for customer service excellence is no surprise. 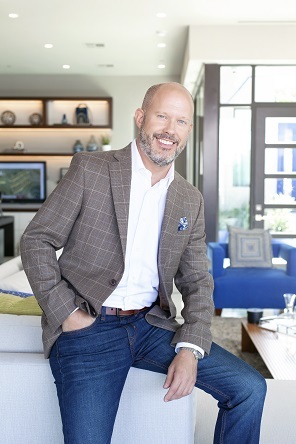 The former casino marketing executive for the famed Mirage Hotel & Casino and Luxor Hotel & Casino resorts in Las Vegas is now known as one of the top-selling real estate sales executives in Las Vegas. Erik’s clients come first in every area of his business. From anticipating needs to understanding the marketplace as a whole, Erik keeps an eye out for his clients at all times. His proactive nature helps him anticipate problems before they arise, easing his clients’ natural worries about the process of buying and selling real estate. Whether at work for his clients or at work in the community, it’s a sure bet that working with Erik is a smart decision. Find him at the Berkshire Hathaway HomeServices office in Summerlin or give him a call at 702-445-0296. You’ll be glad you did!